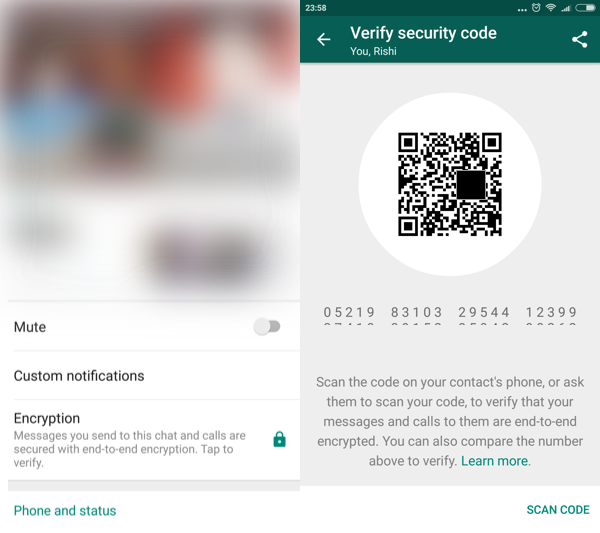 WhatsApp End to End Encryption: Following the threats of many governmental agencies and other companies in the market, WhatsApp has finally introduced full encryption of the messages. The encryption became a need for the messaging service giant as competitor app named ‘Telegram’ got positive reviews because of the same feature. The messaging app has been criticised several times for enabling an encryption so that govt agencies couldn’t read private messages secretly. With the need & threat of privacy leak, the feature has been finally introduced in the messaging app. In simple words is an advanced technology through which your smartphone and your friend’s smartphone will understand the same language to communicate with each other. The text you will send to someone could be read by that person only. The app installed in your smartphone translates your message into a set of digits or numerals which were sent to your friend. The most surprising part is, only your friend’s smartphone can translate them back to the real/ originated text. “Messages between users are protected with an end-to-end encryption protocol so that third parties and the app cannot read them and so that the messages can only be decrypted by the recipient. It was the most demanded feature on the messaging app; the other requested features are remote unlocking and remote erasing capabilities in case the mobile phone get stolen.